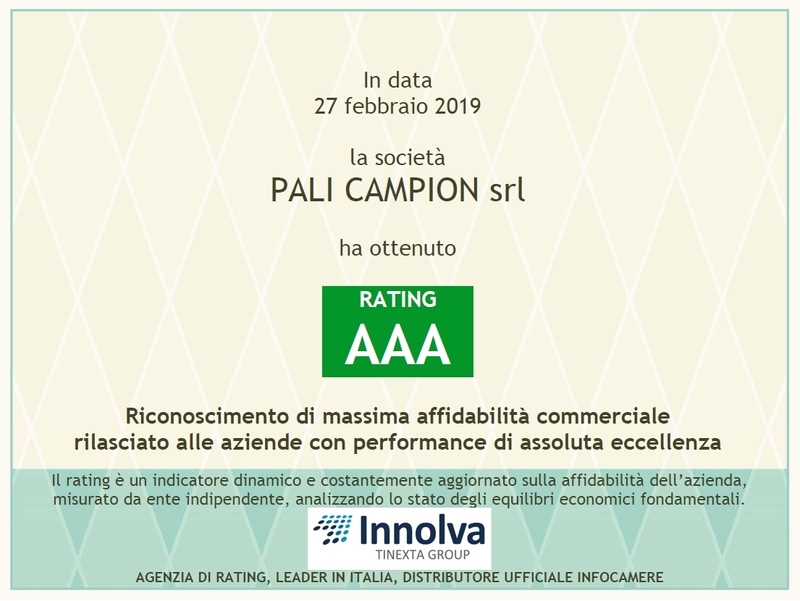 Pali Campion srl, rating AAA, "maximum commercial reliability"
Campion Adriano and Campion Otello, gold medal, “Devotion to work – economic progress”. 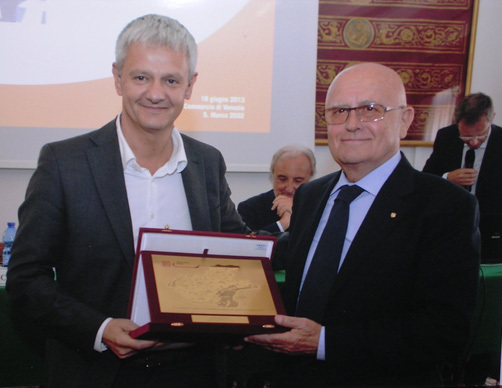 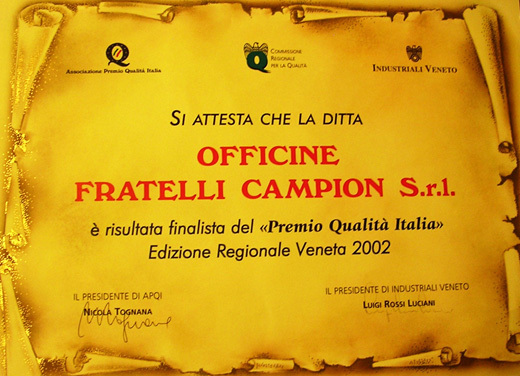 Company award for the economic and social development in Venetian region. 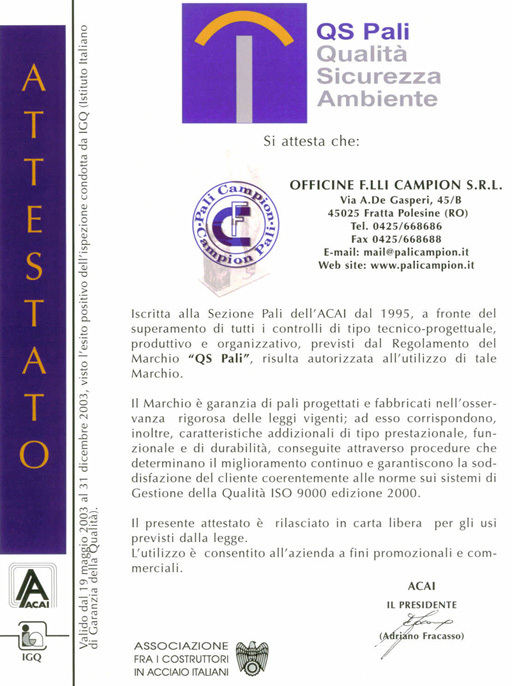 European community patent to protect the copyright design, Decorative lighting columns, with solar panel system. 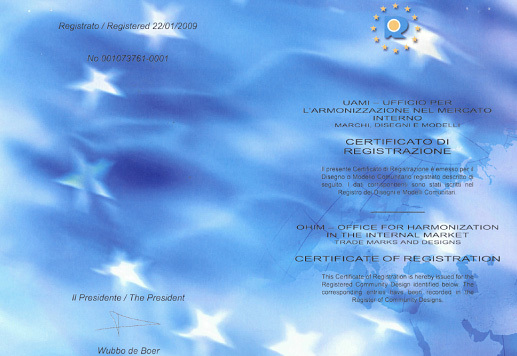 Euroepan community trademark design and model department. 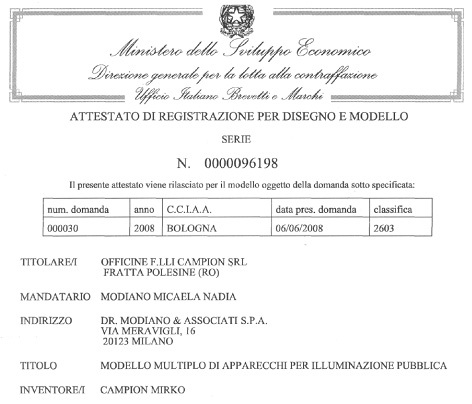 Ministry of Economic development, patent and trademark department. 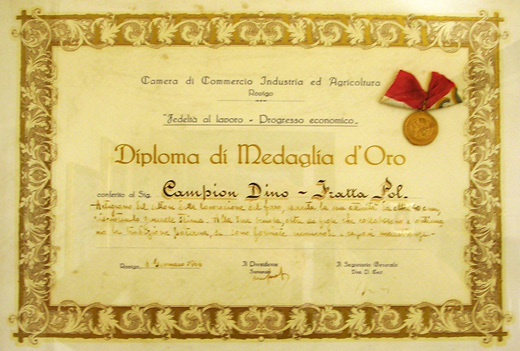 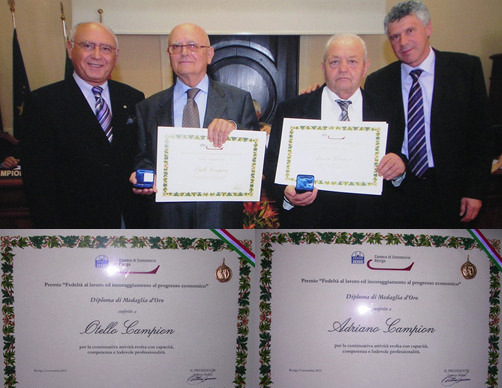 Campion Dino, gold medal, “Devotion to work – economic progress”.